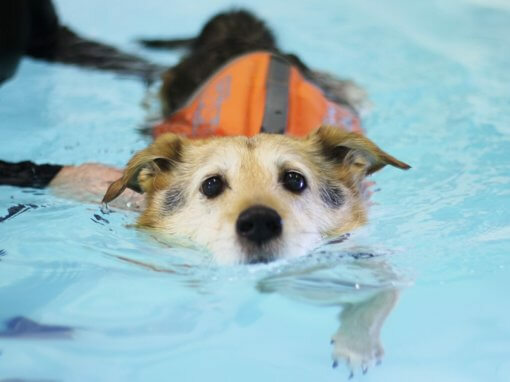 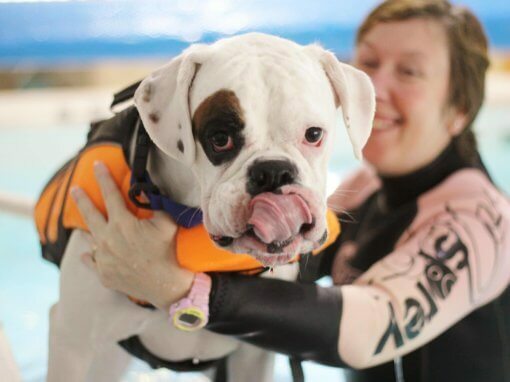 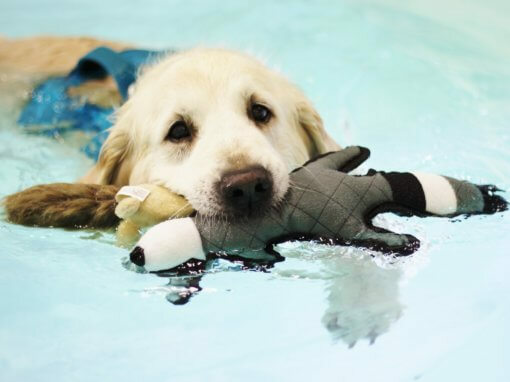 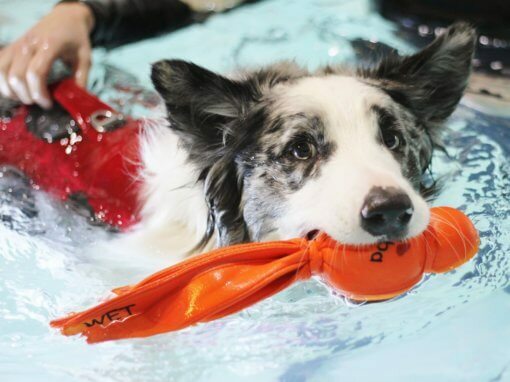 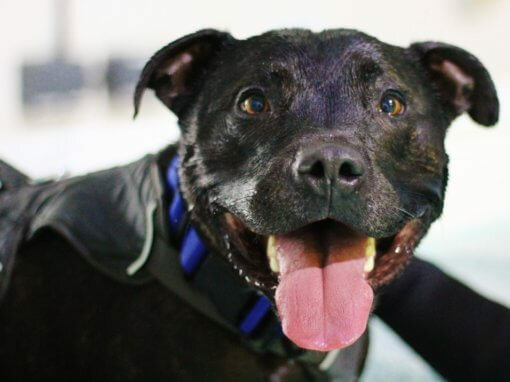 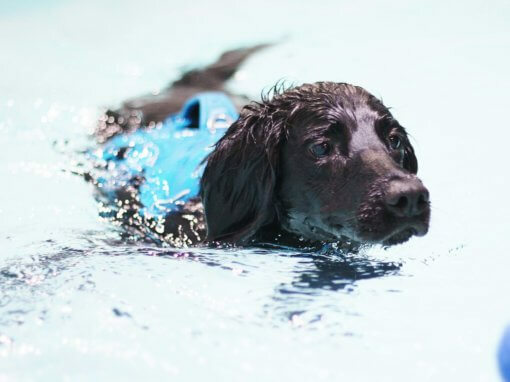 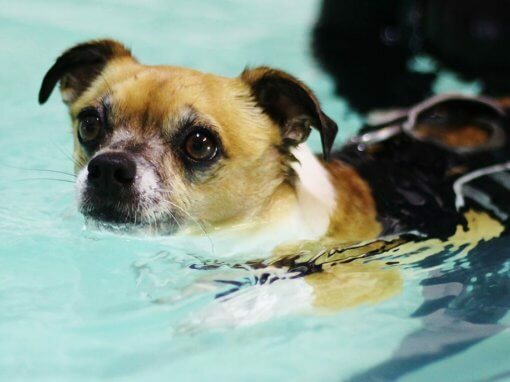 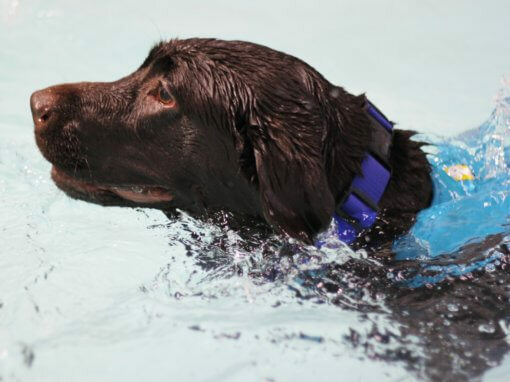 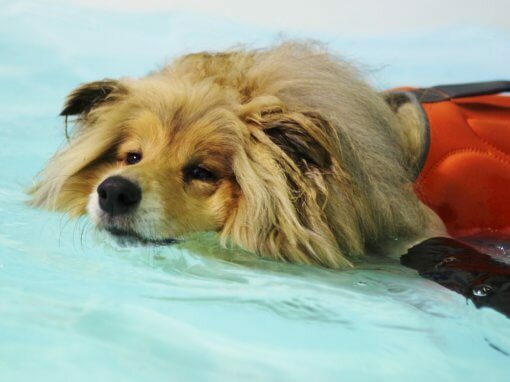 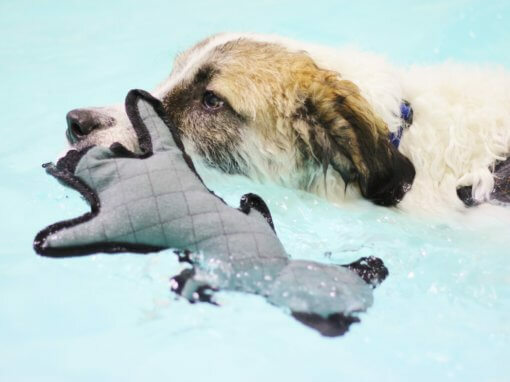 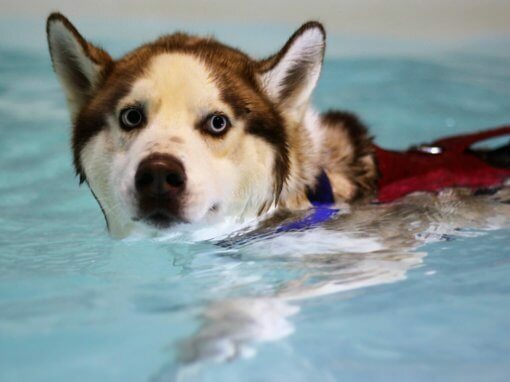 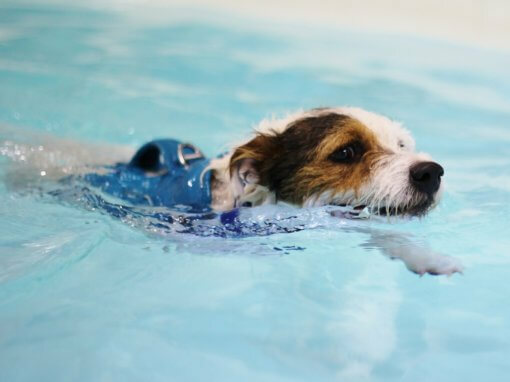 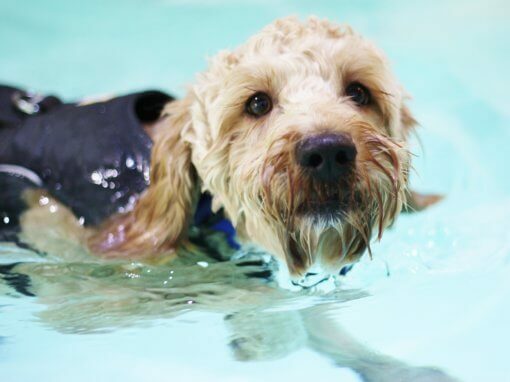 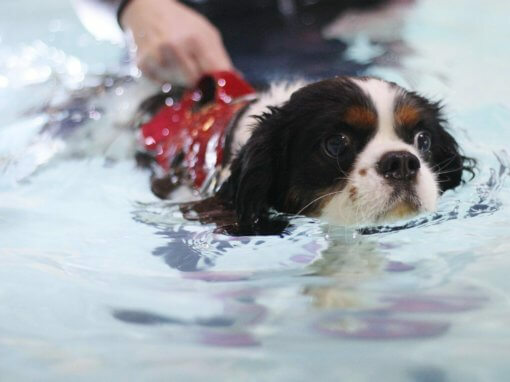 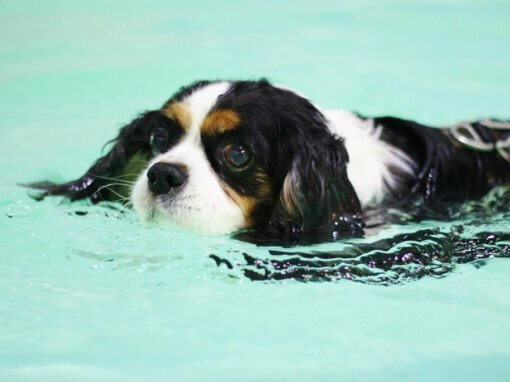 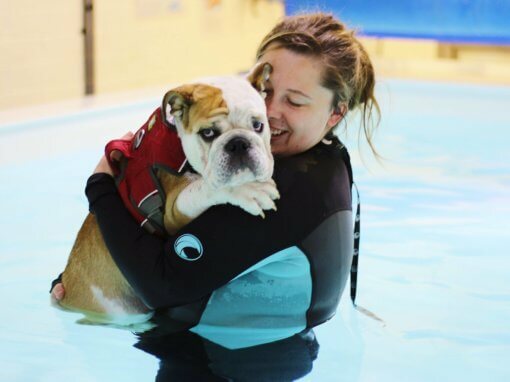 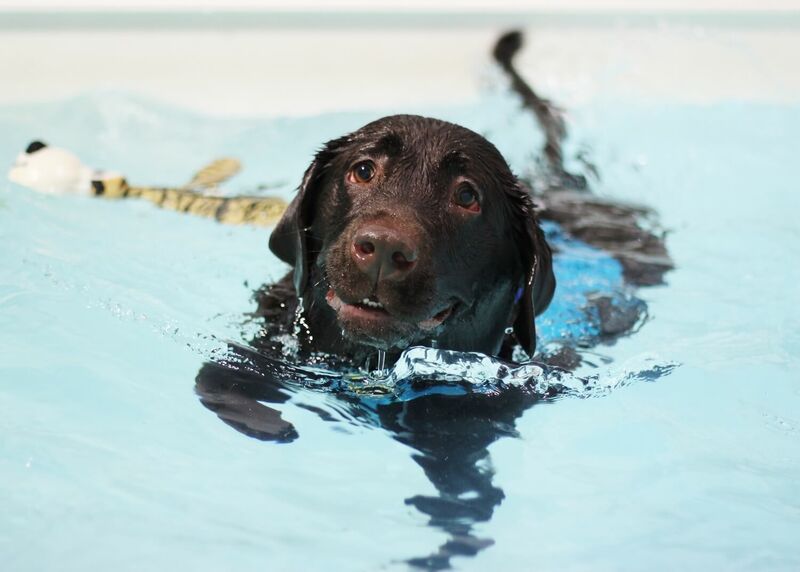 Meggie started to attend Bluewaters Canine Hydrotherapy Centre in Worcestershire in November 2017 as she was suffering from severe hip dysplasia. 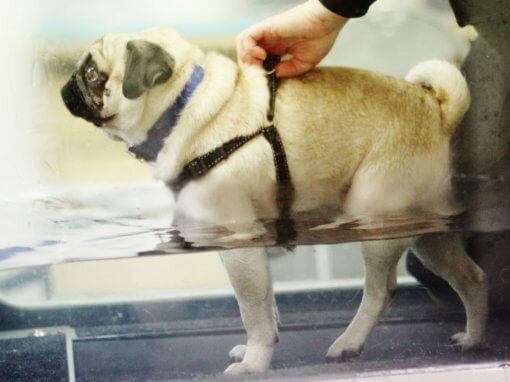 Her right hind limb was worst affected. 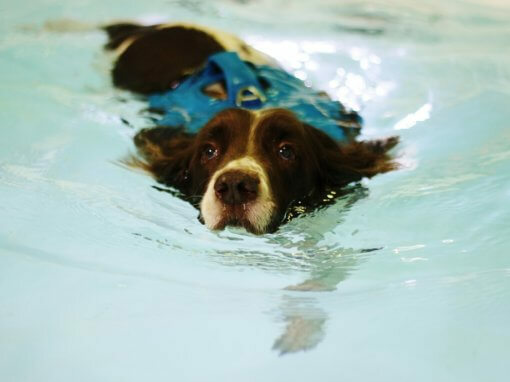 As Meggie is very lively and due to the non-weight bearing nature of the exercise we decided to start her treatment in the hydrotherapy pool. 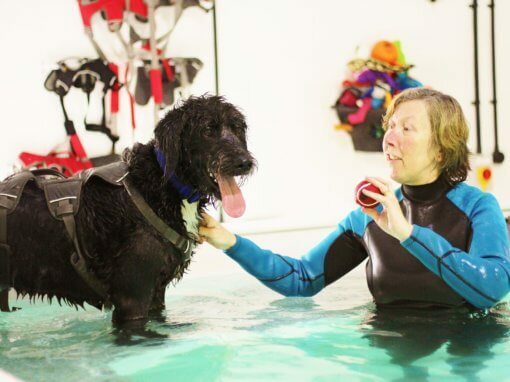 Meggie took to this really well and enjoyed her sessions from the start – particularly after a period of rest that was required to manage her condition. 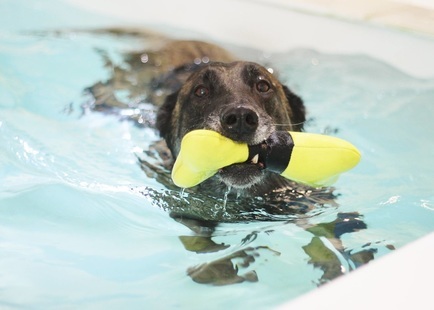 Initially Meggie’s hind limb extension was quite moderate with her right hind limb extending less than her left. 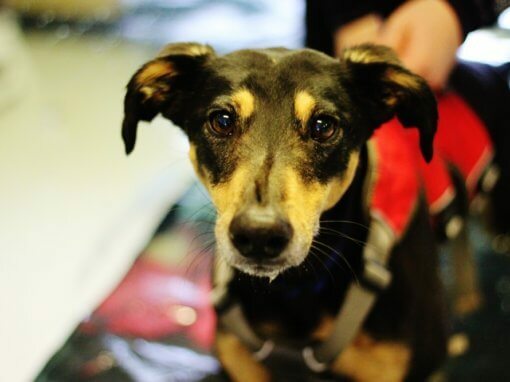 She also abducted (kicked out) her right hind limb slightly. 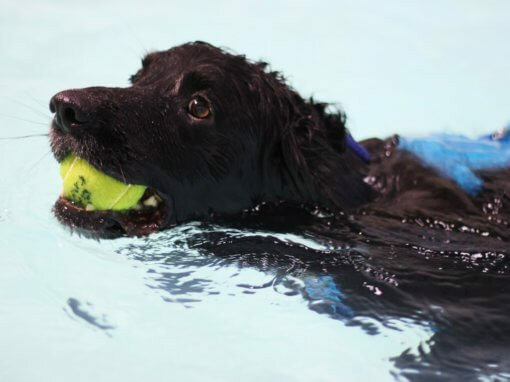 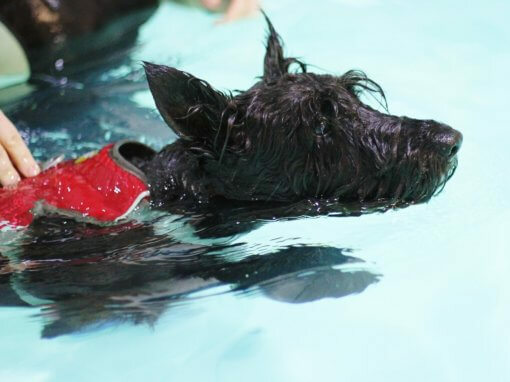 As Meggie has progressed she continues to thoroughly enjoy her sessions with us and she keeps us well entertained with her antics in the pool! 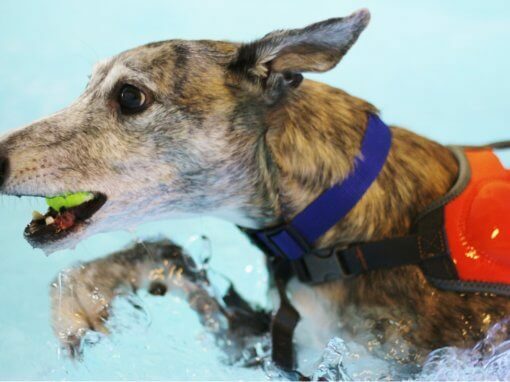 Her hind limb extension has greatly improved. 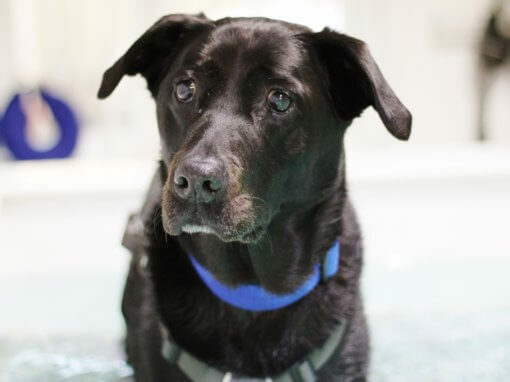 Meggie has gained muscle on all four limbs with over 5cm gained on her worst affected limb. 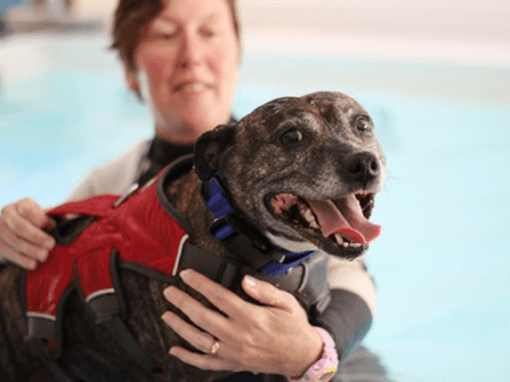 Meggie’s owners have been delighted with her progress and report that they would hardly know there was an issue now. 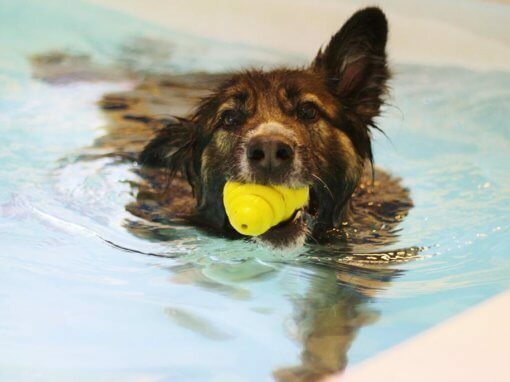 Meggie initially was on restricted lead walks only but can now run off lead and play with no issues afterwards. 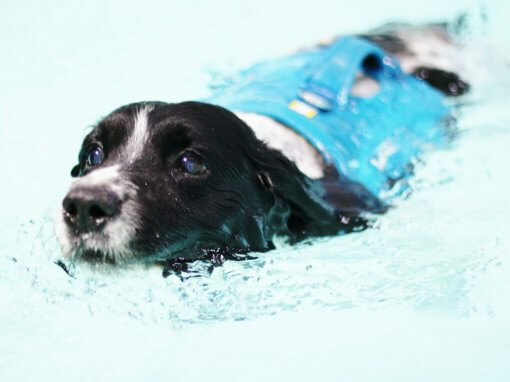 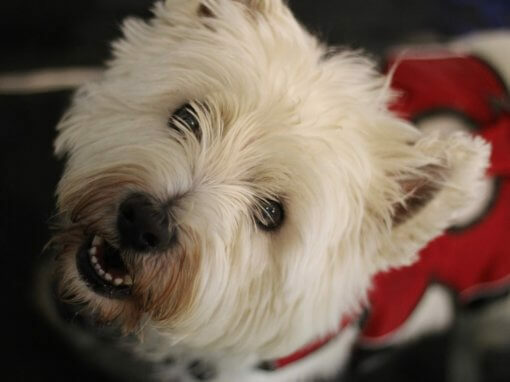 Meggie continues to attend fortnightly sessions to help maintain her condition. 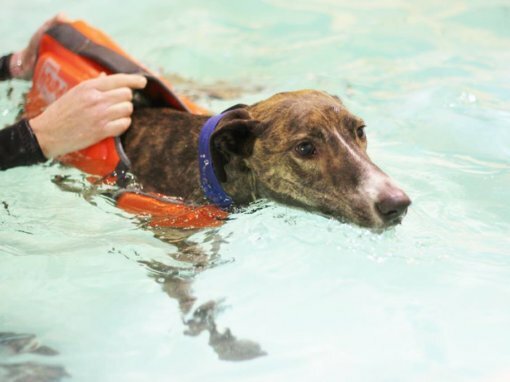 Meggie was 8 months old, limping and could only have on lead exercise, she couldn’t take weight evenly on both hips. 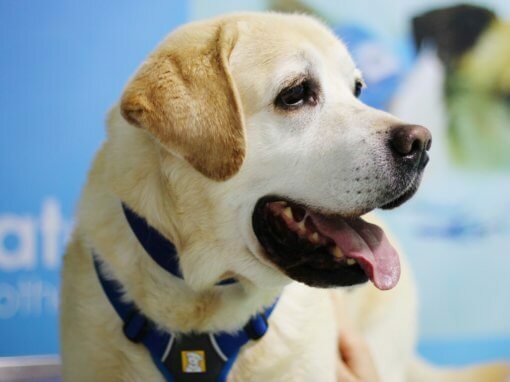 She had a diagnosis of severe hip dysplasia in both hips after X-ray. 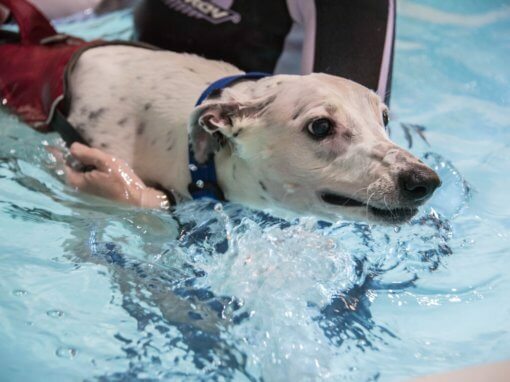 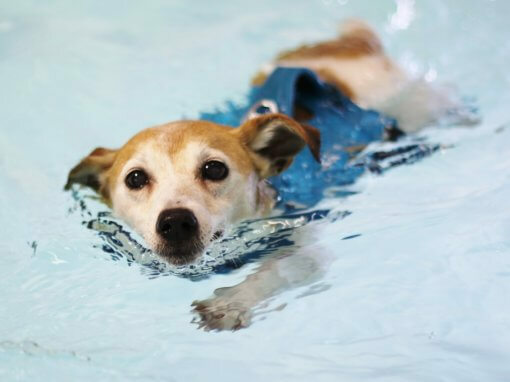 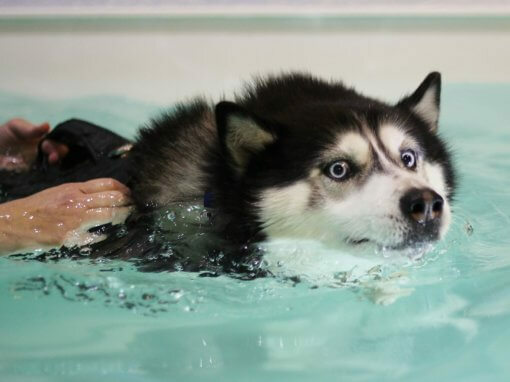 On measurement at the first session her muscles were unevenly developed and initially she wasn’t extending her back legs fully in the water. 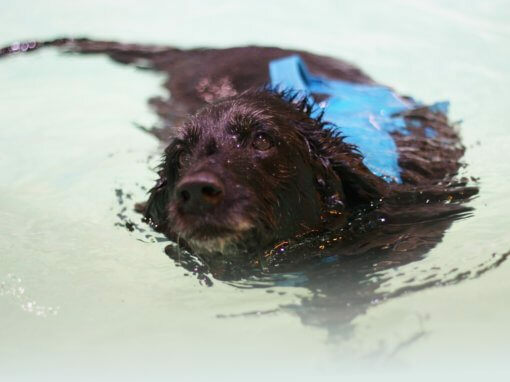 After hydrotherapy weekly for several months the limp has disappeared, she is off medication, her muscles are the same size and well developed and we free run her off lead for about 40 minutes a day. 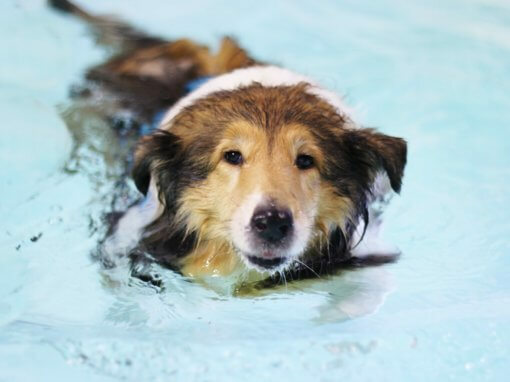 She now swims every two weeks and as she is so enthusiastic it gives her a good work out. 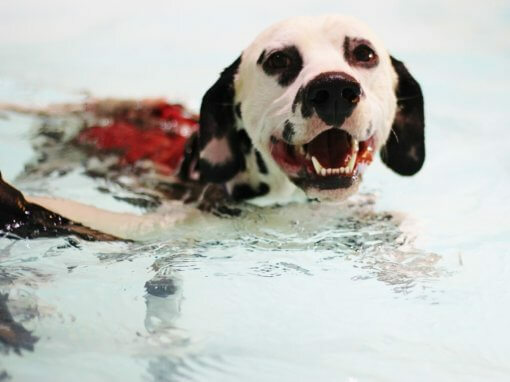 She is using both back legs fully extended now. 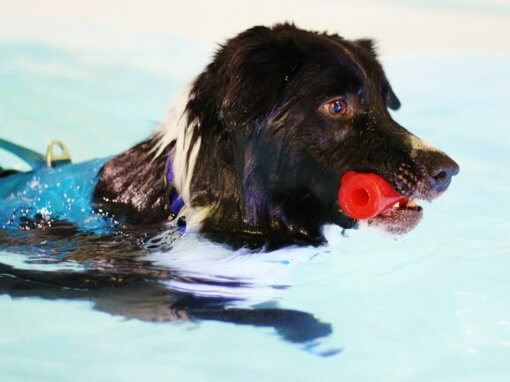 We had looked at another facility first but Bluewaters was far superior.the water is always clean as are the floor areas and it is well run. 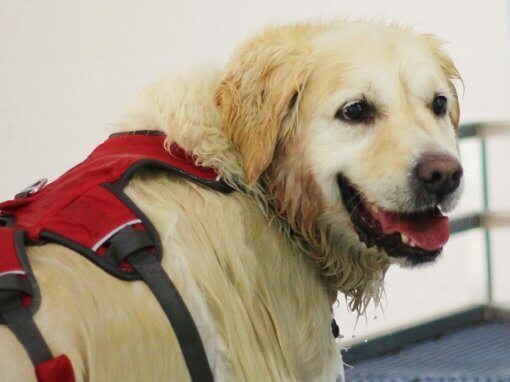 Meggie loves Holly and Laura who handle her really well and we have confidence in them. 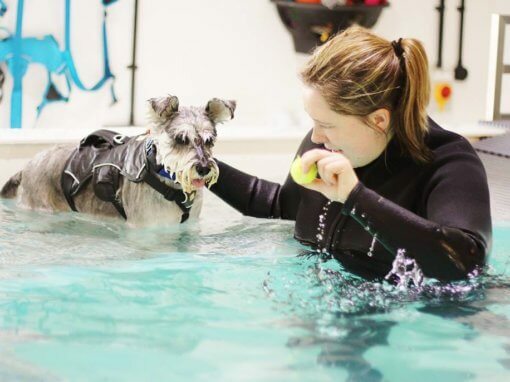 I would thoroughly recommend the facility, I certainly never thought we would be able to let Meggie run off lead when we first started.